It's a Mom Thing Reviews & More! 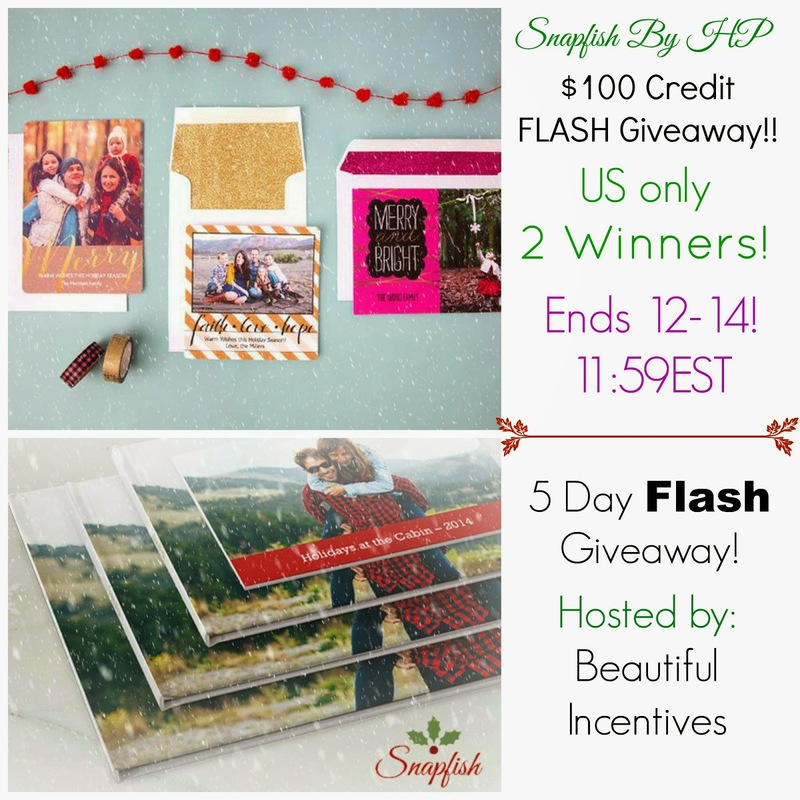 : Snapfish Giveaway hosted by Beautiful Incentives! Snapfish Giveaway hosted by Beautiful Incentives! Snapfish is an amazing user friendly platform that enables you to transfer your most loved pictures onto all different mediums, such as cards, photobooks, jewelry boxes, coasters, pillows, blankets and so much more! You can upload pictures from your computer and straight from your social networks, like Facebook. It has tons of layouts, designs, colors and embellishments to choose from. What you want it to look like is how it will come out, as it's highly personalized! The things you can do with this site are ENDLESS! Find out more at Beautiful Incentives and enter the raffle copter below to be one of TWO winners that will receive a $100 voucher to shop at Snapfish by HP! TWO Lucky winners will receive a $100 voucher to shop!! That's a lot of creativity and memories to have fun with on their site! This review and giveaway is accordance with FTC Guidelines. Beautiful Incentives and all bloggers who helped promote this giveaway are not responsible for fulfillment of the prize. I would make a photo blanket. I would get a woven blanket. And i'd throw in a pillowcase! Would totally order many photos that I've procrastinated on ordering!